In 1943, I can only imagine the excitement in the kitchen (in a restaurant located in Piedras Negras) when Ignacio “Nacho” Anaya originally created this well known snack that continues to be popular til this day. Wives of soldiers came in the restaurant after hours to get a snack and ended up being the first recipients of what we call the nacho. I am sure he had no idea that it would take off into something that would be sold in almost every sports arena nationwide. 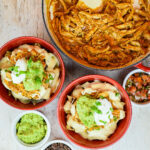 Today I bring to you my spin on chicken nachos called the Chicken Enchilada Nachos. 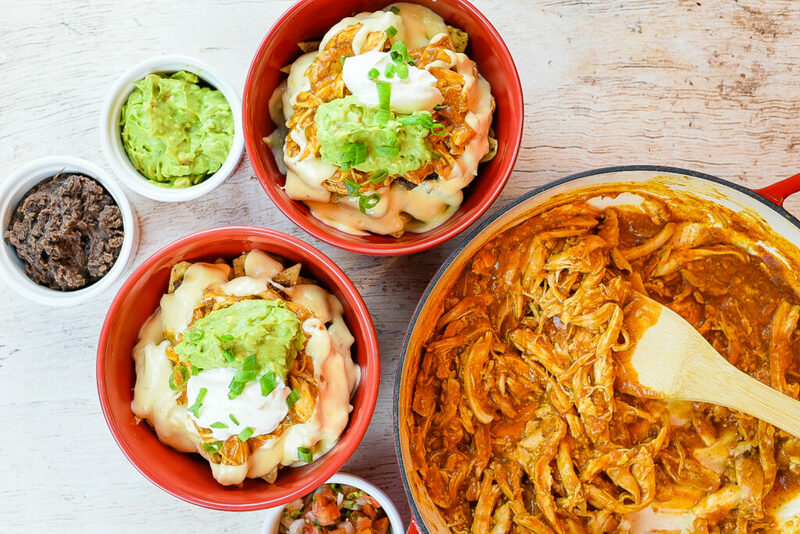 The shredded roasted chicken dripping in homemade enchilada sauce takes this nacho idea into the upper echelon of deliciously quick snacks. 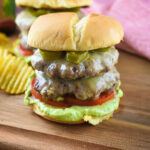 You can never go wrong with a great cheese sauce and this cheese sauce recipe does not disappoint. 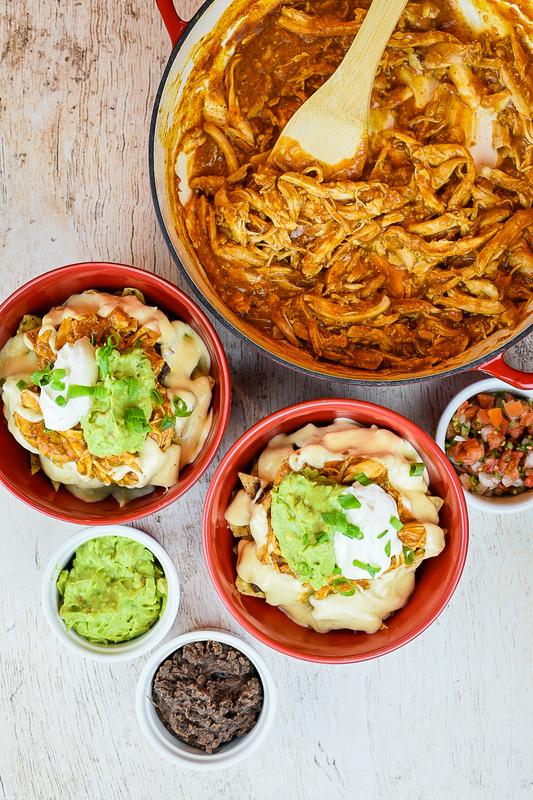 When you’re trying to think of some good quick recipes for game day give these Chicken Enchilada Nachos a try and I think you will enjoy it. Begin by breaking down the whole roasted chicken into shredded pieces then set to the side. For the cheese sauce, pre-heat cooking pan to medium/low heat and add butter. Once butter melts, add flour and stir until it binds then add chicken broth. Once the chicken broth begins to bind, add whipping cream, garlic powder, black pepper and Parmesan cheese and stir for a few minutes then add cheddar cheese and mozzarella cheese while stirring until it’s smooth. For the enchilada sauce, pre-heat separate cooking pan to medium/low heat then add safflower seed oil and minced garlic. Once it cooks for a minute, add flour, chili powder, garlic powder, paprika and ground cumin then stir until it binds. Add tomato sauce, sea salt and black pepper then stir until it binds. 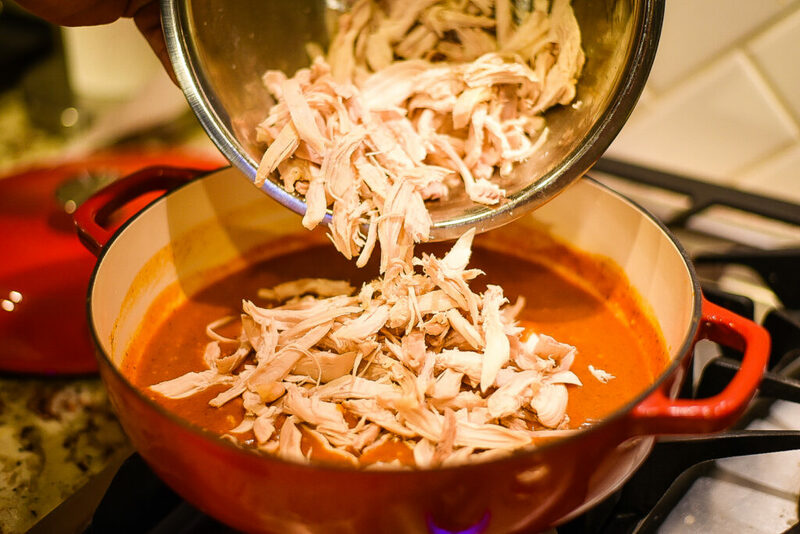 Once complete, add chicken broth and allow to cook for a few minutes then add the shredded chicken to the sauce. Once the sauce cooks for 4 minutes with chicken remove from heat and begin to build the nacho. Add tortilla chips to bottom of bowl, add chicken and sauce mixture then top off with cheese sauce. 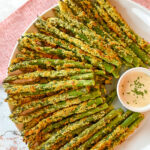 Add additional toppings if desired and serve hot. 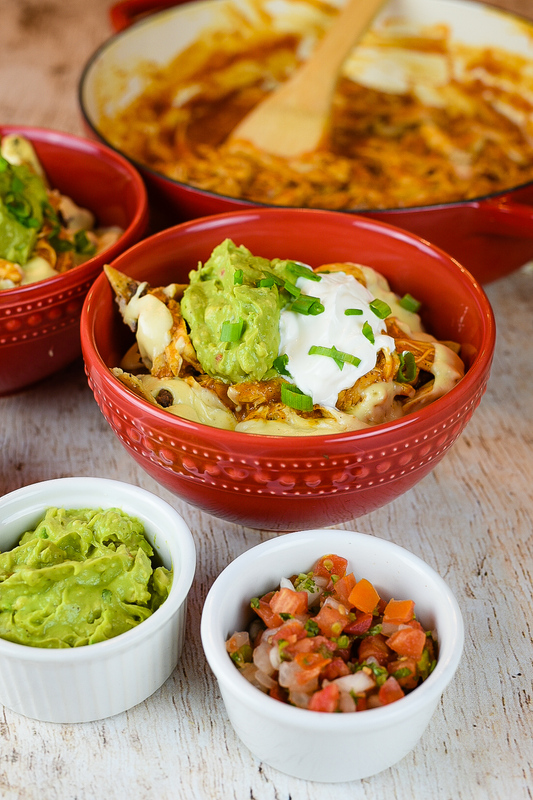 These nachos look absolutely delicious. Cannot wait to make at home for the family. Thanks so much for sharing! Enchilada sauce looks great too. Thanks a lot Billy. Please let me know how they come out.